Hello friends! Happy New Years Eve! I'm celebrating with a morning of yoga, breakfast, books, and blogs, and a super awesome guest post! 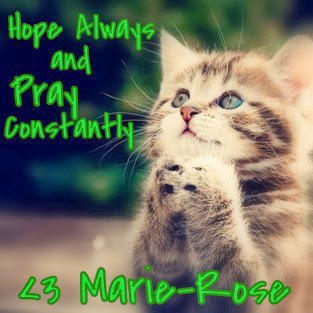 Today's post comes from Marie-Rose who is the author of one of my favorite blogs, Hope Always and Pray Constantly. Marie-Rose is a new convert who was baptized into the Church of Jesus Christ of Later Day saints in the middle of November. This is her letter to all members of the church titled "Letter From a New Convert" and it is addressed to all members of the Church. In return, you can find my letter to her called "Letter To a New Convert" over on her blog. My letter is addressed to all those who, in the words of Jeffery R. Holland, "[are young in the church...] young in years of age or young in years of membership or young in years of faith. One way or another, that should include just about all of us." So don't forget to click on over to her blog after you've spent some time here! My baptism was last month and it was amazing. Do you remember yours? The Spirit was so strong :) the water was so warm and welcoming when I walked into the font. Everything melted away for a minute, other than the words spoken, and suddenly I was underwater. I had waited for this moment for so long. I'd already had one baptism date fall through, cuz my dad wasn't sure if he was okay with my choice. 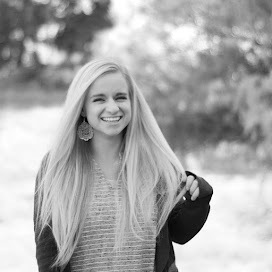 For two years I knew, deep in my heart, that Heavenly Father wanted me to get baptized. I just had to wait for the right time. I'm so excited that I've been able to go to church regularly since I've been at college. In 2013, I took the sacrament exactly once (in like July, I think). It was not a fun time, having to miss church. Sometimes, sitting in sacrament meeting, it feels like you've heard all these things a million times before. But it's so easy to forget them if you're not hearing them! And feeling the Spirit at church is my favorite part of the week. Being surrounded by other people who love you is amazing. I think they call that a ward family. Speaking of missionaries, you've probably heard that you should be a member missionary, right? Guess how I first heard about the church. My friends are pretty good member missionaries. They weren't afraid to mention church things in my presence, and they certainly weren't afraid to answer my questions, even if it meant hunting down an answer and getting back to me later. They invited me to activities and seminary and church and dances and girls camp and youth conference. They gave me a Book of Mormon. Most importantly, they let me go at my own pace. They never pushed me to investigate faster than I was comfortable with doing. So when you hear that you should be a member missionary, think of new converts like me. You wouldn't be reading this letter if it weren't for member missionaries. I have a testimony of the Church of Jesus Christ of Latter-day Saints. I know that Heavenly Father loves us and is always there for us. I know that Jesus Christ is our savior. I know that prayer is powerful. I know there's a Plan, and eternity is bigger than whatever trial I might be going through at the moment. I know the Book of Mormon is true, and I can feel that when I read it. p.s. I'm searching for some awesome New Years Resolutions. What are some of yours?